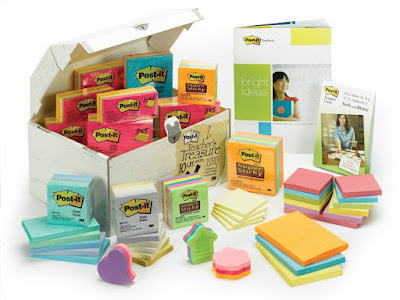 Don't you wish you could have bought stock in post-it notes when they were first invented?! Not only do I use them daily, but my students use them to take notes while reading, they use them to brainstorm ideas before organizing their writing, for peer feedback, and on and on. . . but they're not cheap! So. . . I'm thrilled to join with some fantastic teachers for a giveaway of a treasure chest of Post-It Notes!! A teacher's dream come true! 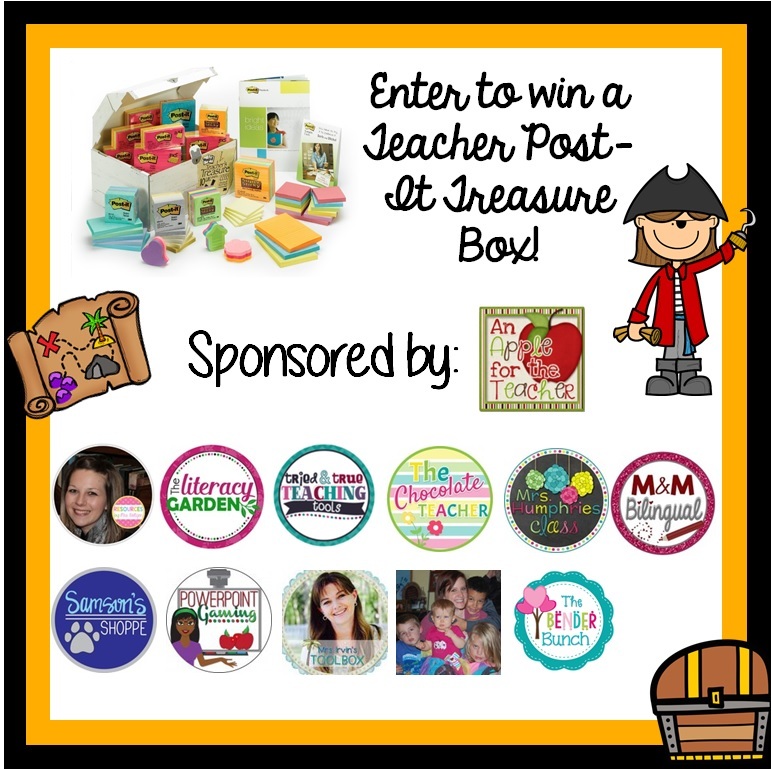 Co-hosts: An Apple for the Teacher, Mrs Roltgen, The Literacy Garden, Tried and True Teaching Tools, The Chocolate Teacher, Mrs Humphries Class, MM Bilingual, Samson's Shoppe, Powerpoint Gaming, Mrs Irvins Toolbox, Momma with a Teaching Mission on TpT, and Traci Bender - The Bender Bunch.